I’ve mentioned before how wonderful my husband is, and I have yet another example of his awesomeness to share with you. 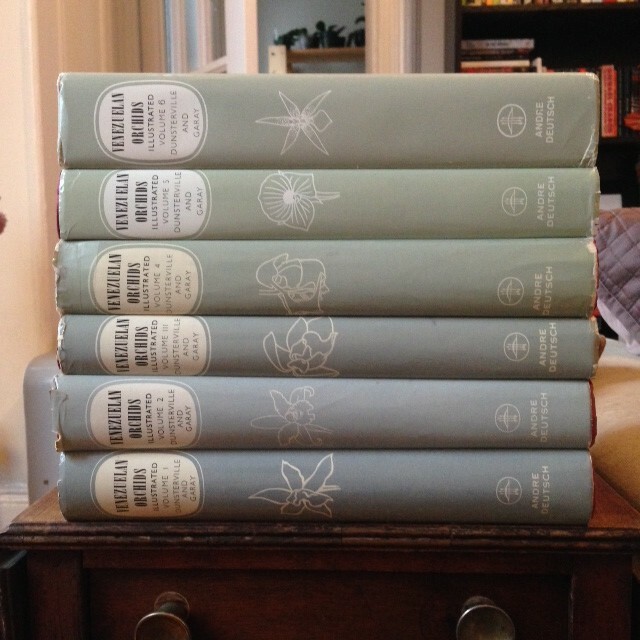 As an early holiday gift, he got me the complete, out-of-print six-volume set of Venezuelan Orchids Illustrated by G.C.K. Dunsterville and Leslie A. Garay! 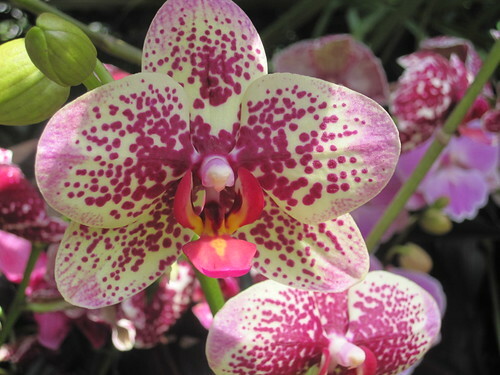 Happy 2014, orchid lovers! I hope you had a wonderful and safe New Year’s Eve. My husband and I and some of our friends went to the New Year’s Eve bash at Brooklyn Winery and had a real blast! I have to be honest: I don’t love this color. I do love purple, but I prefer it in a darker shade with more blue in it; Radiant Orchid is a bit too pink for my taste. The simple fact that it’s named after my favorite flower may encourage me to try a couple Radiant Orchid-colored accessories, though. I know the whole “Color of the Year” thing is a marketing scheme, but hey, these Radiant Orchid-colored Phals have been all over the fashion and beauty blogs lately and seeing orchids in the news always makes me happy. 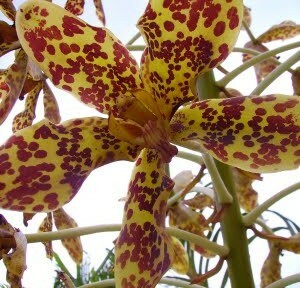 Completely coincidentally, the Vanda that I chose for the cover of my 2014 calendar has a bit of a Radiant Orchid tone. How’s that for a segue into saying that it’s not too late to get a Brooklyn Orchids calendar for yourself or a fellow orchid lover? On a side note, two of my Phals in spike are now developing buds and a couple other Phal spikes are coming along nicely, so I should have some flowers to show off early this year! Here’s to a happy and healthy 2014 for all. Cheers! Happy One Year Blogaversary to Me! One year ago today, I started Brooklyn Orchids! In that year, I’ve published 107 posts (including this one) and received close to 14,000 views! I’m very proud of what I’ve done with this blog so far, and I plan to keep it up. It’s nice having a hobby that I can share in this format with friends, family, and People of the Internet in general. Since that first post a year ago, my orchid collection has grown from 9 to 31. My kill count has—unfortunately—increased from 2 to 7, but when your hobby involves growing living things, this is inevitable. Also in the past year, my orchids survived a move from Sunset Park to Park Slope and are now (for the most part) growing happily in my very own Orchid Room. 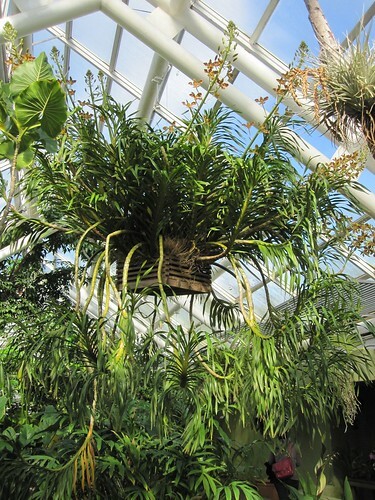 Over the last 365 days, I’ve written 28 Orchid of the Week posts, a couple posts on unfortunate orchid names, and a whole bunch of informational posts about growing orchids. I must admit that I’ve been slacking on those informational posts lately, and my goal is to get back in to the swing of writing them. Now that The X Files is on Netflix Streaming, I’ve finally immersed myself in this show that I’d heard so much about but never watched. 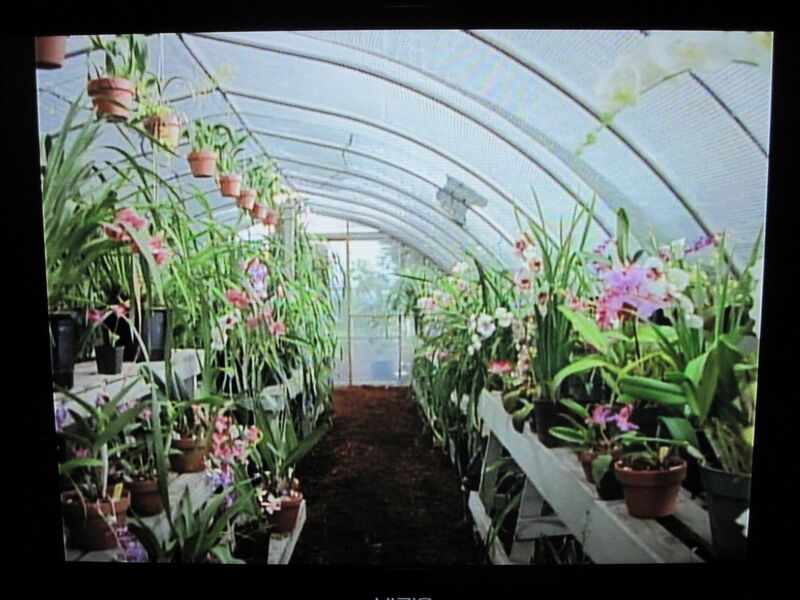 Last night I started the third season and came to the second episode, titled “Paper Clip.” And I was so excited when a scene opened in an orchid greenhouse that I had to pause and take pics so that I could post them here! Click each photo to see a larger version.